Before Harry Potter and J.K. Rowling, before The Hunger Games and Suzanne Collins, before The Chronicles of Narnia and C.S. Lewis, there was Judy Bolton and Potter County author Margaret Sutton. Here begins the story of a little girl, born in the Pennsylvania Wilds Dark Skies landscape, who went on to become a world-renowned author. 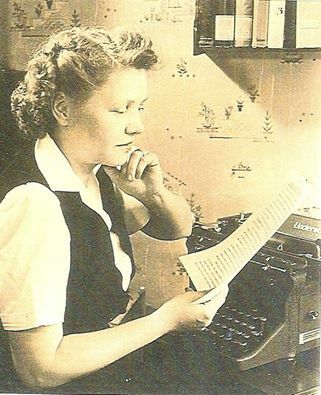 The Judy Bolton Mysteries were written by Potter County’s Margaret Sutton, born Rachel Irene Beebe on January 22, 1903 in Odin, south of Coudersport. Her father, a carpenter by trade, like his father and grandfather before him, built the house where Rachel was born. Right from the get-go, her parents noticed their little girl possessed an incredible imagination and gift for storytelling. At the Beebe family home in Odin, little Rachel and her two older Beebe siblings spent hours playing with their mother’s empty wooden sewing thread spools. Her mother, Estella Andrews Beebe, entertained the children with folk tales and taught the children to draw. Their father Victor L. Beebe’s favorite topics were history and science. He assigned each of the children a planet and encouraged them to write stories about the people and creatures who inhabited their imaginary worlds. Victor also would later become an author, writing a history of Potter County. Little Rachel drew faces on her spool people, gave them names, and filled tablets with stories and pictures of her imaginary friends. One of them she named ‘Judy Bolton’. Her family later moved to Coudersport where Rachel was delighted to be able to borrow books from the public library. She remembered being disappointed that there was no sequel to her favorite book, The Secret Garden, and vowed at a young age to write lots of books about one character so that people could find out what happened next. Rachel attended high school in Coudersport and continued her studies at The Rochester Business Institute in New York, graduating in 1920. She then set out on a career in business. She met William H. Sutton at a church dance, and they were married in 1924. Soon she was writing stories for her little step-daughter, and friends encouraged her to get them published. The stories appeared in a Sunday School magazine, Picture World. At last, Rachel Beebe-Sutton was a published author—the beginning of a long and creative career. Although busy with her growing family, the young mother never forgot those little wooden spool people of her Potter County childhood. When her stepdaughter started reading series books, Rachel knew that this was the way her favorite Jupiter girl could have lots of adventures. She wrote Melissa of Dry Brook Hollow and Melissa Moves to Town and began searching for a publisher. After several rejections, she finally found a publisher, but the editor had three stipulations. First, she must have a more marketable, sophisticated pen name, and they chose the name “Margaret Sutton” for her. Second, the new girl detective could not be blonde because the publishers already had a blonde, Nancy Drew. Remembering her mother’s beautiful hair color, Rachel gave her main character auburn hair. Third, there was already a book character named Melissa, so Margaret renamed her girl detective “Judy Bolton.” This was the beginning of the Judy Bolton Mystery Series, a total of 38 volumes that sold more than 5 million copies and were translated into many languages. Every summer, Margaret would return to Potter County to visit family and find settings and inspiration for her next book. The Austin Dam disaster was the basis for the first Judy Bolton mystery, The Vanishing Shadow, published in 1932. Margaret’s Odin birthplace became Judy’s grandparents’ home in Dry Brook Hollow and then Judy’s home. The Beebe family’s second home on East Second Street in Coudersport was used as Judy’s home in The Haunted Attic. Margaret’s aunts, Marjorie and Gladys Beebe, lived along a mountain road in the town of Inez, and this became the setting for several stories. 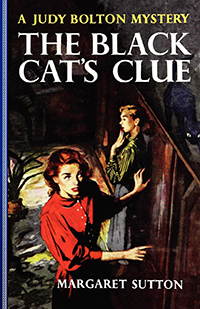 Today, the home is the Southwoods Farm Nature Reserve, and its staircase is depicted on the cover of The Black Cat’s Clue. The nearby pond was the setting for the cover of The Puzzle in the Pond. The 1918 fire that destroyed Coudersport’s high school was the basis of the school fire in Seven Strange Clues, and Ole’s Castle in Potter County’s Ole Bull State Park was the setting for The Clue in the Ruined Castle. In a 1984 interview during an “Eighty Years of Juvenile Series Fiction” event at the University of Wisconsin, Margaret said she wrote about Judy because Judy was a part of her. The Judy Bolton Mystery Series enjoyed national acclaim, and Judy became a popular role model to legions of young girls. Margaret also included strong male characters, including a newspaper reporter and a lawyer who became an FBI agent, so Margaret received fan letters from boys as well as girls. In the series, which endured from 1932 to 1967, Judy ages over time. Through her characters, Margaret spoke out on social issues including economic, religious and racial inequalities. 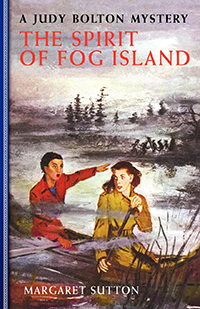 In The Spirit of Fog Island, published in 1951, she advocated for the rights of Native Americans long before other authors addressed this issue. As time passed, fueled by big corporate money and a massive promotional and marketing campaign, Judy Bolton was rapidly eclipsed in popularity by the Nancy Drew Series. Sadly, Judy Bolton went out of print, while Nancy Drew flourished. 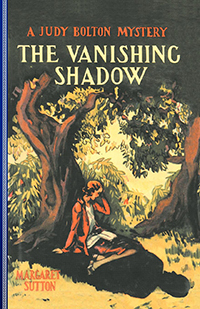 “The answer is simple,” said Margaret, “because Nancy Drew was written by a huge publishing syndicate that had more power than someone like me, a single author.” This syndicate provided titles and plot lines and then hired ghost writers to complete the Drew books for a flat fee, with the syndicate collecting royalties. 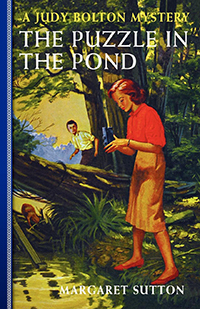 Despite competition from the syndicate’s various other series books, the Judy Bolton Mystery Series holds the record as the longest-running juvenile mystery series written by an individual author. Over the years, the ghostwritten Nancy Drew stories had many authors, but the Judy Bolton Mystery Series was all one woman’s work—Margaret Sutton’s. The end of the Judy Bolton Mystery Series left Margaret upset because she still had fresh story ideas for Judy. “I don’t want to end on a note of bitterness, though,” said Margaret in that 1984 interview. “I just want you to know that I do cherish the books, that I loved writing them. I loved the feeling that my experiences went into other lives. I don’t know exactly how to express it, but I feel so grateful to my readers,” she said. Fortunately, all is not lost. Applewood Books has republished the entire Judy Bolton Mystery Series plus the 39th book in the series, The Strange Likeness, which Margaret began but never completed. It was written and published in 2012 by Kate Duvall and Beverly Hatfield and used many of the ideas that Margaret had planned for her characters. Margaret’s daughter, Marjorie Sutton Eckstein, was the illustrator, and another daughter, Lindsay Sutton Stroh, was the editor. The book wraps up the Judy Bolton Mystery Series, bringing it to a fitting conclusion. Margaret Sutton published over 50 books during her career. In addition to the Judy Bolton mysteries, she wrote two historical novels for young people and several children’s picture books. Her niece Rosaleen Ingalls, who grew up in Coudersport, kept a diary of her experiences training to be a Cadet Nurse during World War II, and Margaret used that diary and her own experiences as a Red Cross nurse’s aide for her two-volume Gail Gardner Cadet Nurse series. Those books are now part of the Army Cadet Nurse display in the Women in Military Service for America Memorial at the entrance to Arlington National Cemetery. William Sutton, Margaret’s husband of more than 40 years, passed away in 1965. Ten years later she married long-time family friend, Everett Hunting. They made their home in California and moved to Lock Haven in 1993. Hunting died shortly after their move. In her final years, when Sutton was no longer able to write, her fans set up a website, www.judybolton.com, and volunteers would read her many nice letters from her devoted fans. Margaret Sutton was dedicated to answering every one of her fan letters, and those replies have become treasured keepsakes. In 2001, at the age of 98, Margaret died in Lock Haven of natural causes. Fittingly, her final resting place is in Inez cemetery close to her Odin birthplace. To this day, legions of Sutton’s fans, “the Phantom Friends,” return to Potter County every autumn for the annual Judy Bolton Days observance. Since 1991 they have gathered to explore the real-life sites that served as inspiration for the Judy Bolton Mystery Series, to discuss the books, and to honor their local literary legends – Margaret Sutton and girl-detective, Judy Bolton. This Judy Bolton Mural commemorates the writings of Margaret Sutton, a.k.a. Rachel Beebe, in the Austin School, located in Austin, PA. Thank you, Mary! It was such a pleasure researching and writing this tribute to Margaret (Rachel) and I’m glad you enjoyed it. I can’t believe I just stumbled onto this article! I read and loved Judy Bolton mysteries as a child and I thought I was the only one. I have never met anyone who knew who she was. Thank you for bringing back those memories. So happy you enjoyed the Judy Bolton story, Mary, and many thanks for the kind words!